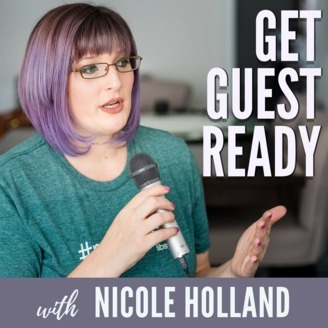 Get Guest Ready is the best resource to teach you how to leverage existing podcasts to bolster your authority, brand, visibility, & message for greater impact, influence, & income. Brought to you by Nicole Holland, host of iTunes' New & Noteworthy Business Building Rockstars Show podcast, and named one of “50 ﻿Must-Follow Women Entrepreneurs in 2017” in The Huffington Post, you'll learn the exact strategies and tips Nicole has used to book hundreds of podcast interviews for herself and her VIP clients. Join Nicole's FREE 5-Day Get Guest Ready Challenge to give these lessons wings at http://interviewsthatconvert.com/challenge. 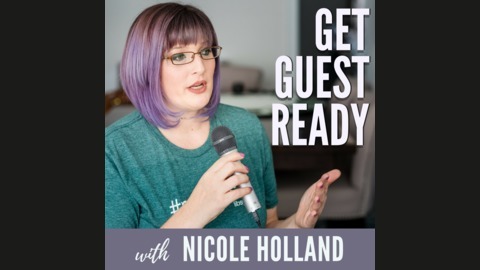 In this episode of GET GUEST READY, Nicole Holland will teach you how to ask for the interview from podcasters who have the best audience for you to get in front of. Thank you to Justin Krane, author of Money, You Got This, and Elaine Benoit of the MaturePreneurial podcast for your contribution to the show!